Following Hurricane Michael, many Floridians turned to their insurance companies with the presumption that a successful property damage claim was a given. Yet, many soon realized that their insurer was not on their side, downplaying the damage and offering compensation that do not reflect the extent of the hurricane. Some claims were outright denied. If your home or business suffered damage from Hurricane Michael, do not wait for your insurer to take action. Do not accept a decision that you feel is not fair. Speaking to them directly without legal representation may undermine your case. 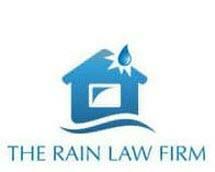 An attorney at The Rain Law Firm can handle all aspects of your claim. They bring experience, knowledge and insight to secure the full and fair compensation that you deserve. While we take on the heavy lifting, your proactive steps can make a difference as well. Taking a fact-based approach means that we review your policy, specifically the complex terminology and jargon. Pictures of the damage and other notes and documentation from you can also provide compelling evidence. Our job is to convince them of your losses and the compensation you deserve. From the moment we take on your Hurricane Michael insurance claim, we will attend to every detail with the goal of maximizing compensation. The Rain – an acronym for “Representing Aggravated Insureds Nationwide” – Law Firm provides legal representation for property owners in Jacksonville and the entire state of Florida. We also take on property damage claims throughout the entire country.